I thought this was well known here at this point. And to this point, the Patriots have likely already logged two 3rd round comp picks for the next draft after just getting two for this draft. Corry is awesome, we need more former agents to be writing in the news. The first wave of deals are usually really silly but some of these are actually decent and make a lot of sense. Mitch Morse to Buffalo sticks out, as does Kareem Jackson to the Broncos. I'd like to personally thank the freaking Chiefs franchise for paying 21 million dollars a damn year for 500 yards. Taylor Gabriel, Jamison Crowder production. Thanks for that. Everyone who has a shred of talent now at WR is going to hold out. Sammy Watkins is the new Tyson Jackson. People are just like, Hey man, you look like you could use 20 million dollars to do nothing. The salary cap needs to go up 200 milllion. QB's are worth 50 a year if WR's are now going to be 30 million. These guys can't help themselves, I guess a bunch of lawyers are happy. Just wait until KC hears the price tag that Tyreek Hill's going to throw at them. 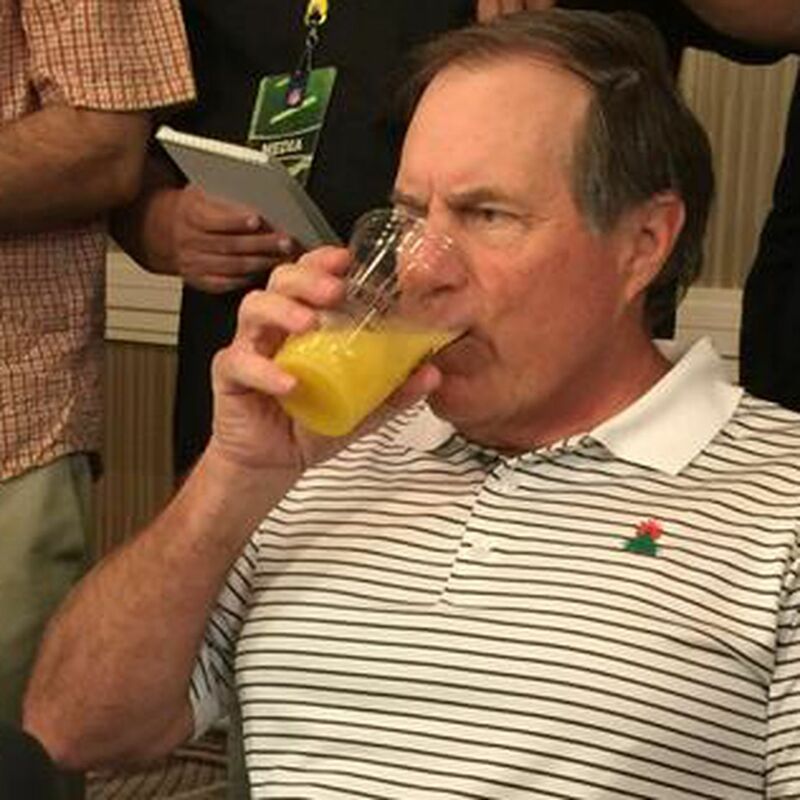 That orange juice meme has shown up on my Twitter feed several times after notifying people that the Patriots are likely to get two 3rd round comp picks in two consecutive drafts. I think it goes back to 2015 at some kind of NFL free agency meeting that the coaches, GMs and media were at. A good photog captured a great image, which speaks to BB style: let people make the dumb deals, I'll chill, and grab some un-drafted free agents, a stick of glue, some picks, and patch together another SB. I'm legitimately stunned by the Beckham trade. I know the rumors were out there but still shocked. Well done Brownies, bonified superstar in his prime to add to that up and coming team. Pretty fair deal really all around. The Flowers move is brilliant. I wish my team realized Vic Beasley is worth more next year as a comp pick than this year. The current crop of 5th year pass rushers is freaking dreadful. I'm excited to see how they Browns this whole thing up. Welcome to anonymity, Le'Veon Bell. Denver/Atlanta in this year's Hall of Fame game.